Blooms from Early Summer to Frost! Voted Most Versatile! 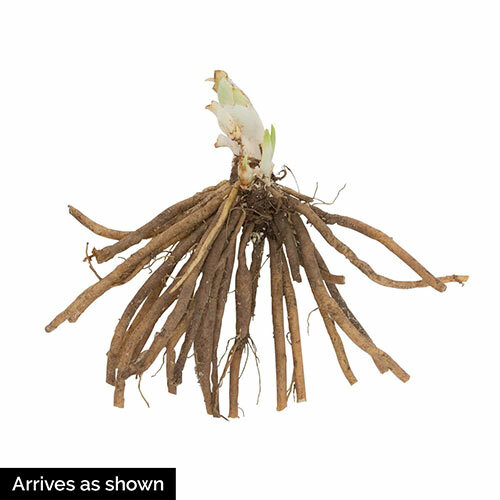 — The number one reason dwarf rebloomers are so popular in modern landscaping is their incredible versatility. 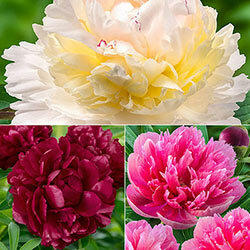 Compact size and an easygoing nature make them perfect for borders, containers, around trees and along fence lines. 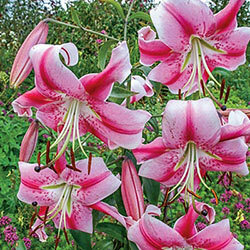 Like most daylilies, dwarf rebloomers love the sun, but will also tolerate some shade. 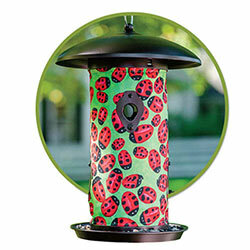 They are even rabbit resistant and drought tolerant. 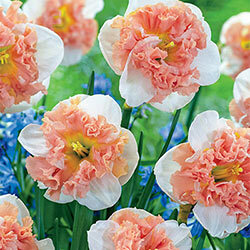 Our Dwarf Reblooming Daylily Collection combines our five most popular varieties for the ultimate dwarf daylily show. 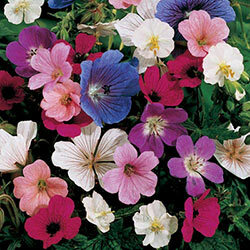 Colourful flowers will keep coming from early summer until frost! Short, Sweet and Blooms Repeat! It started with Stella de Oro over 40 years ago! 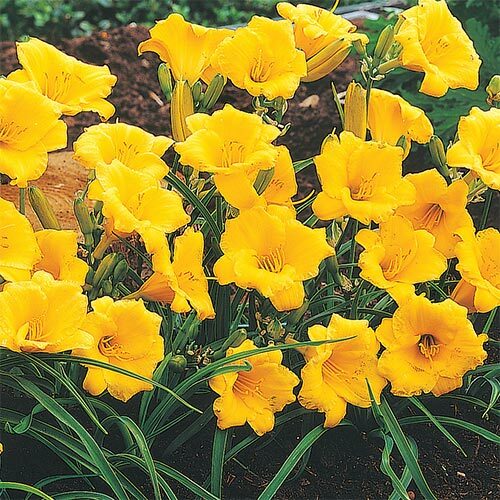 Stella de Oro was a revolutionary daylily — shorter stems, smaller flowers and two long blooming periods. Since its introduction, gardeners and landscapers can't get enough of this low-growing, golden daylily that seems to never stop blooming. 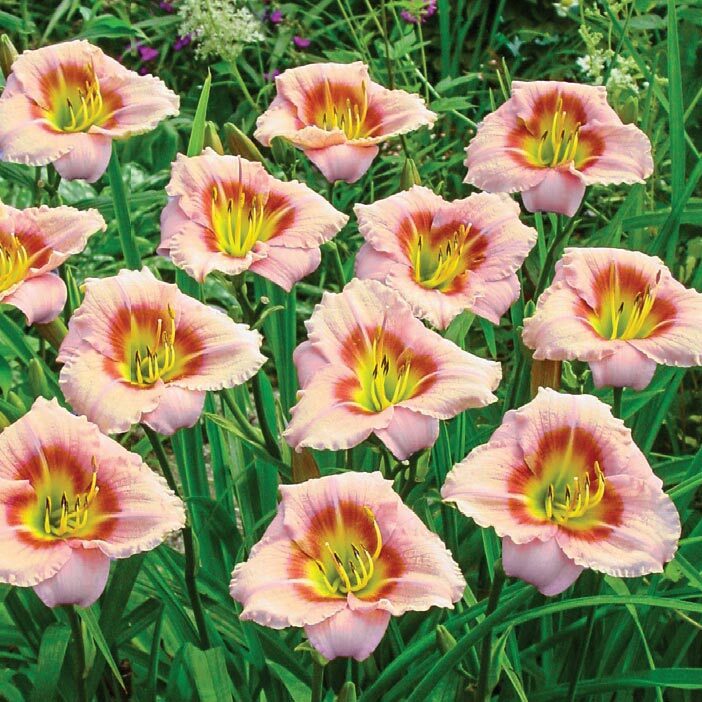 Breck's is proud to offer Stella, along with four of her colourful cousins, in our Dwarf Reblooming Daylily Collection. 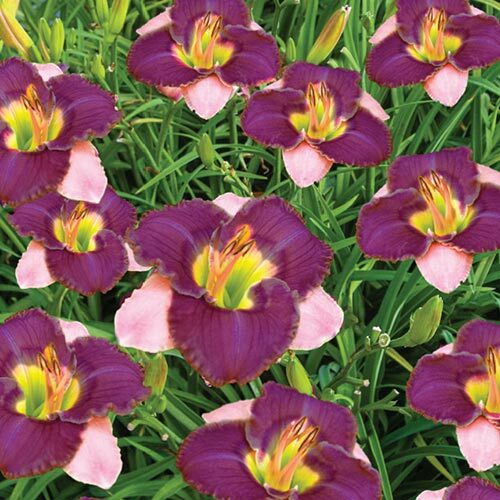 Dwarf daylilies like Stella de Oro are perfect for containers! 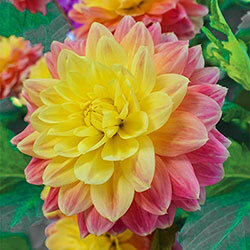 Blooms Come Early…and Often! 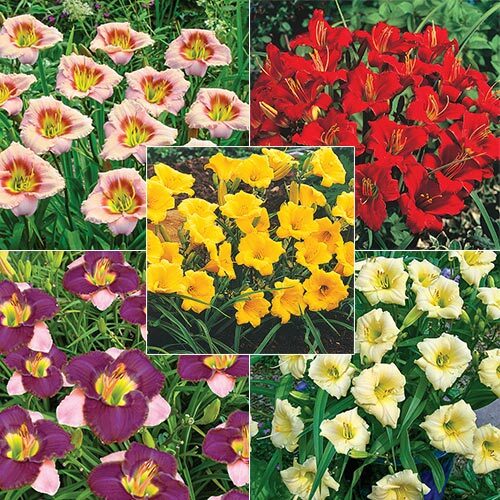 Starting in May or early June, your dwarf daylilies will be among the first to flower. 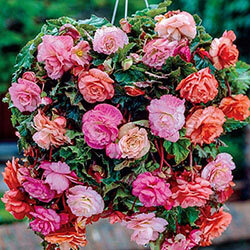 Although each bloom only lasts for one day, with proper deadheading they'll keep coming all summer until fall! 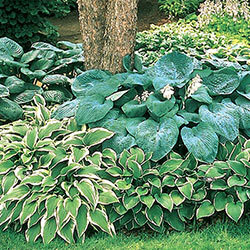 Whether planted together or separately, these perfectly petite perennials will impress you with their compact growing habit and neat clumps of grasslike foliage that double as a ground cover. 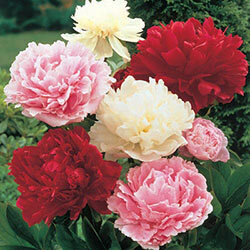 Buffys Doll: Precious pink, 8 cm blooms with rosy eye zones are made all the more darling by a lightly ruffled edge. 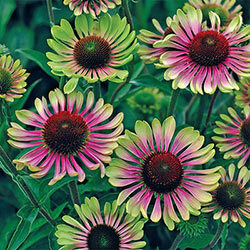 This award winner is eye-catching in a container, growing 30 cm tall. Little Business: Raspberry-red, 8 cm blooms with yellow throats are showstopping in borders, along pathways or in containers. 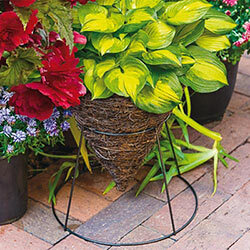 Petite, 30–40 cm stems make Little Business perfect for planting in front of traditional daylilies or other taller perennials. 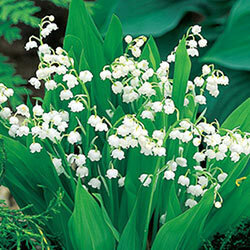 Longfields Pearl: This free-flowering variety grows 50 cm tall, bearing tons of scapes that produce 26 blooms each! 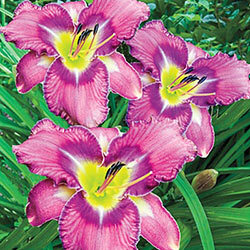 Blooms are quite large for a daylily, reaching 10 cm across. Pretty, creamy white colouration with a light green-yellow eye and darker veining around the throat. 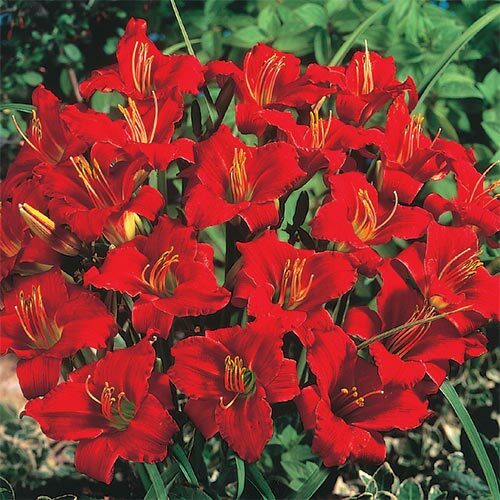 Longfields Woodpecker: Large 10 cm daylily blooms grow on 40 cm stems for a compact display that packs a punch! Striking colouration blends light and dark lavender hues and a pretty purple eye zone above a throat that's touched with green. 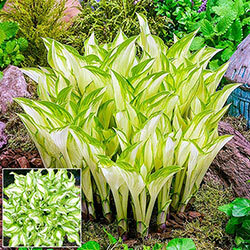 Stella De Oro: This award winner has become a landscaping favourite! 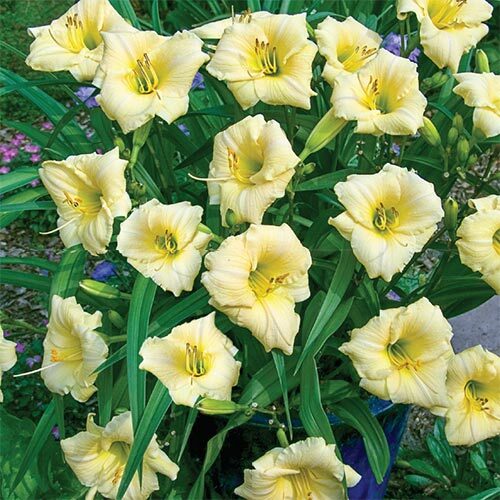 With its steady succession of golden, 6 cm flowers, Stella de Oro is the queen of the dwarf daylilies. 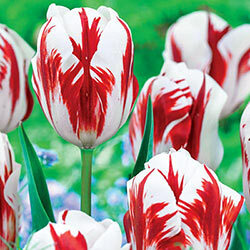 45–60 cm plants bring sunny beauty to borders and pots.